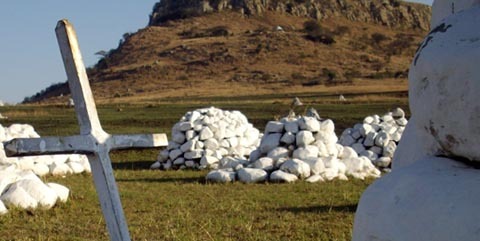 Take a walk back into history while visiting various war and memorial sites in Kwazulu-Natal, South Africa. It is here where many wars have been fought between the Voortrekkers, the British and also the local Zulu tribe. Apart from the incredible stories to be found about all the battles, the beautiful nature and mountainous area is a marvel worth exploring by itself. Vast grasslands stretch from the northern part of the Drakensberg mountains and continue into a semi-tropical growth. In close proximity is the Hluhluwe iMfolosi National Park, South Africa’s oldest nature reserve and the park with the one of highest concentrations of white and black rhino in the world. Complete your experience by visiting the iSimangaliso Wetlands, a UNESCO World Heritage site.